Standard Smokers Outpost Black 347646 Pack of 1 "Extinguishes cigarettes quickly. Screw closure and tie down rings make security simple. Easy to clean. Perfect for entryways, break areas and public gathering locations. H1067 x diameter 381mm. Cap-12 litre. Black. Non returnable." Standard Smokers Outpost Grey 347647 Pack of 1 "Extinguishes cigarettes quickly. Screw closure and tie down rings make security simple. Easy to clean. 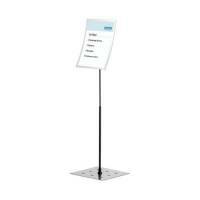 Perfect for entryways, break areas and public gathering locations. H1067 x diameter 381mm. Cap-12 litre. Grey. Non returnable." 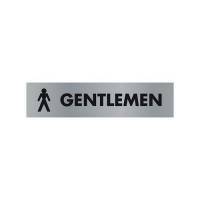 Acrylic Sign Gentlemen Aluminium SR22355 Pack of 1 "Acrylic Sign. Manufactured from 2mm acrylic, reverse printed with a brushed aluminium effect backing. Size: 190 x 45mm. Gentlemen." 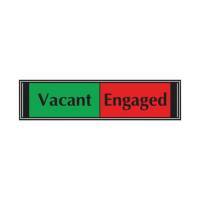 Acrylic Sign Ladies Aluminium 190x45mm SR22357 Pack of 1 "Acrylic Sign. Manufactured from 2mm acrylic, reverse printed with a brushed aluminium effect backing. Size: 190 x 45mm. 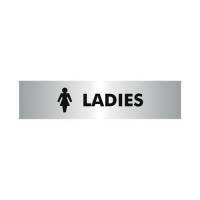 Ladies"
Acrylic Sign Reception Aluminium 190x45mm SR22364 Pack of 1 "Acrylic Sign. Manufactured from 2mm acrylic, reverse printed with a brushed aluminium effect backing. Size: 190 x 45mm. Reception." 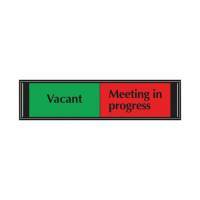 Acrylic Sign Staff Only Aluminium 190x45mm SR22365 Pack of 1 "Acrylic Sign. Manufactured from 2mm acrylic, reverse printed with a brushed aluminium effect backing. Size: 190 x 45mm. Staff Only." Acrylic Sign Toilet Aluminium 190x45mm SR22366 Pack of 1 "Acrylic Sign. Manufactured from 2mm acrylic, reverse printed with a brushed aluminium effect backing. Size: 190 x 45mm. Toilets."